If price is your primary concern, SogoTrade delivers with low stock and options commissions rates. It even provides a highly unusual prepaid choice where you can pre-pay for trades at even lower rates. For traders placing up to 149 trades per quarter, the base rate is $4.88 but you can lower that to $3.88 per trade by signing up to a prepaid package. If you place 150 or more trades per quarter the pay-as-you-trade cost is $2.88 for unlimited market or limit orders. 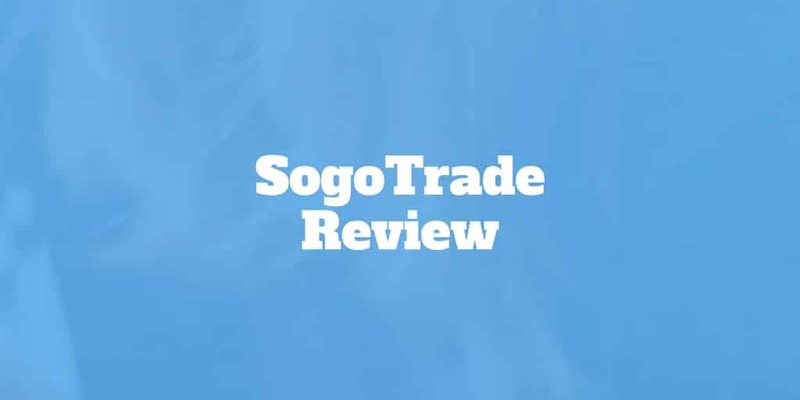 But while SogoTrade earns top marks on pricing, it lacks bells and whistles in some other areas, such as research, education, and tools. Is SogoTrade Right For You? SogoTrade has low commissions costs and a range of platforms to serve novice, intermediate, and experienced traders on desktop, web-based, and mobile. Futures and forex traders as well as mutual fund investors should look elsewhere. SogoTrade is designed for the price-sensitive stock and options trader who doesn’t need a whole lot of help making trading decisions. The pricing is hard to beat and SogoTrade deserves high praise for keeping commissions so low. If you need broker assistance to place trades, you will be charged $25 for the support, though most traders at SogoTrade are likely to be familiar with the nuts and bolts of how to place trades. For a full-service offering, a broker like Schwab will be a better bet. Where SogoTrade falls short is its somewhat clunky site, which is not nearly as intuitive as you might wish. One reason it’s hard to puzzle through precisely how to navigate SogoTrade is that it attempts to brand a bunch of different offerings with the “Sogo” label. All-in-one stock and options trading platform. Web-based stock trading platform which features real-time quotes, extended-hours trading, and interactive charts. Web-based options trading platform featuring streaming charts, analysis, and risk management. Downloadable desktop platform to place stock and options trades and includes time & sales dynamic charting, streaming charts & quotes, options chains, top movers lists, and integrated trading. Browser based mobile trading platform accessible on iOS and Android mobile devices. Experienced and advanced traders should probably skip straight to SogoElite while SogoOnline and SogoTrader are a better bet for traders who are newer to the stock market game. Mutual fund investors as well as futures and forex traders won’t find a home a SogoTrade, and would be better served at thinkorswim, a highly capable platform by TD Ameritrade. SogoTrade struggles to match rivals like TradeKing and OptionsHouse when it comes to overall tools and research but it does a pretty good job for options traders. SogoTrade faces stiff competition when it comes to research provided by its rivals. Many brokers offer third-party research reports from Morningstar while some, like Schwab, produce their own research, and still offer competitive commissions. By contrast, SogoTrade provides no research on mutual funds, bonds, or companies that are listed on pink sheets. However, SogoTrade does redeem itself when it comes to tools. While not in the class of tastyworks or thinkorswim, SogoTrade holds its own against most competitors. Stock investors will be less well served with rudimentary financial statements, such as balance sheets, cash flow and income statements, but don’t expect the deep dive analytic research provided by research specialists such as Morningstar. SogoTrade offers platforms that cater to traders of all levels whether on desktop, web-based, or mobile. Options traders are especially well supported but don’t count on more than basic financial research on companies. ✅ Excellent For Fee-Conscious Traders: Stock commissions start at $4.88 and $4.88 + $0.50 per contract for options traders but base rates drop as low as $2.88. ❌ Limited Research: If you have Warren Buffett’s tendencies to research companies intensely, you will be disappointed by the limited offering. ✅ Multiple Platforms: SogoElite is available to experienced traders who want a desktop platform while SogoTrader and SogoOptions caters to traders who prefer web-based platforms. ❌ Few Asset Classes: You can trade stocks and options, but you will need to go elsewhere to trade futures, forex, mutual funds, or fixed-income products. ✅ Mobile Friendly: You can trade on-the-go via both Android and iOS devices using SogoMobile. ❌ IRA Fees: To hold an IRA with SogoTrade, you will need to pay an annual fee. ✅ Customer Support: Other brokers may beat SogoTrade on top notch customer support but SogoTrade holds its own with phone support from 7am to 8pm Eastern time Monday → Friday as well as email support. ❌ SogoElite High Minimum: A $100,000 account minimum is required to use the SogoElite desktop platform. ✅ Options Tools: Options traders are rewarded with probability calculators, insights into Greeks, such as vega, gamma, theta, rho, and delta, as well as profit and loss charts. ✅ Wide Variety of Accounts Supported: Taxable, IRA, joint, and business accounts are all supported but for 529 Plans, Coverdell accounts, or Solo 401(k)s look to TD Ameritrade or Schwab. You can trade stocks, options, and ETFs at SogoTrade but thinkorswim or Schwab are worth checking out if you want to trade futures, forex, or mutual funds. SogoTrade is one of the most competitively priced discount brokerage offerings available, and it is designed for the stock and options traders who can autonomously make trade selections without the need for much more than basic research. Options traders are especially well catered to with probability calculators, insights into Greeks, and profit and loss charts. Advanced traders too will be pleased by the desktop platform, SogoElite, which has enough bells and whistles to warrant serious consideration. For traders looking for commission-free ETFs, futures, forex, bonds, or mutual funds, or if you simply want to avoid the annual IRA fee, thinkorswim will be a better bet.